Welcome to the Pentagon Ski Club! Join the Pentagon Ski Club on a Vermont Bicycle Tour (VBT) to this seldom-visited corner of Italy, where olive groves yield a golden elixir and Adriatic breezes send the spirit soaring! 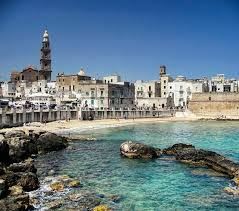 Charming old harbors, limestone cities, and Italian warmth greet you at every bend. And your discoveries continue into each evening at historic masserie, fortified farms, where the bounty of the earth reveals the heart of this special and unique place. Space is LIMITED to 20 participants! $5,395 per-person (double-occupancy) from Washington-Dulles. PSC members have exclusive rights to these 20 spaces until December 15. Don't delay! If you are interested in this trip, register today! 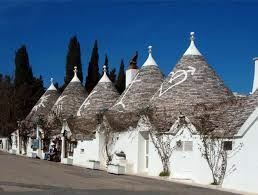 The air package includes airfare, airport transfers, one night in Alberobello upon arrival, and one night in Lecce after the bicycle tour concludes. Custom Air: With the Air Package, you may customize your dates of travel and extend your vacation, or fly into or home from a non-tour airport – ask the VBT Tour Consultant for more information. Bikes: Hybrid and Road-style bikes are included and electronic-assisted E-bikes are available on a firs-come/limited basis – ask the VBT Tour Consultant for more information. VBT Website - ALL the trip details! Also with the VBT Air Package, you may choose to extend your stay with a pre- or post-trip tour. 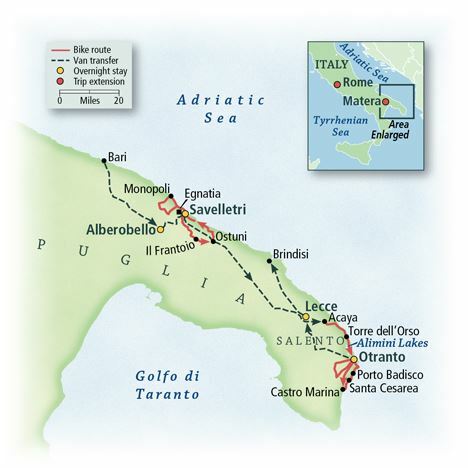 We are also working to arrange our own post-trip extension to Naples for a few nights before heading home. Specific details will be finalized in the coming months. To register for this trip, signup with the PSC and ALSO call VBT to provide them with your registration information. A deposit of $350 is required to secure your spot. Call VBT at 800-245-3868 (option 1) between 8:30 am and 6:30 pm ET Monday to Friday. Give the VBT agent the GROUP #291882. Email or call your PSC trip leader to express your interest in the trip and if you have any questions.